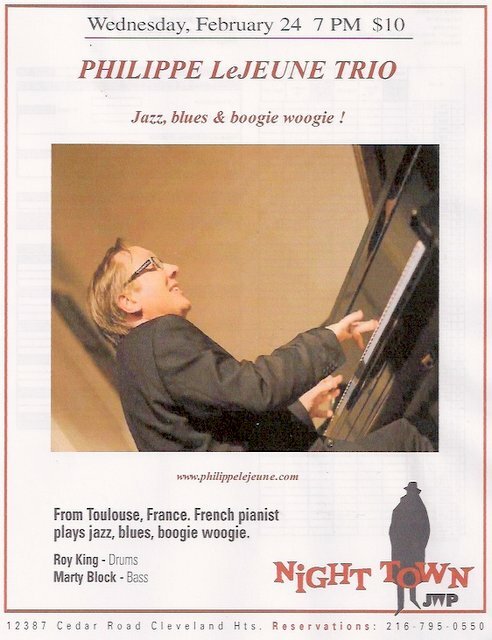 Philippe LeJeune has over 30 years of experience performing in Europe, USA and Canada at jazz clubs, high profile restaurants, jazz and blues festivals, corporate and private events. His repertoire ranges from blues and boogie-woogie classics to mainstream jazz standards and soul jazz tunes. Philippe LeJeune plays acoustic piano – upright and grand piano – and currently is in demand on duo-trio-quartet format including drums, acoustic bass, guitar and sax players. Philippe LeJeune is also available for exclusive ‘piano duet’ concerts along with other international jazz, blues and boogie-woogie pianists.